1. Community Giving - The Golub family merits much praise for their long term commitment to the community. I recall my time as a social worker and Price Chopper could always be relied upon to provide reasonable contributions such as cups and napkins for our small not-for-profit organization. 2. Weekly Ad - In my opinion, Price Chopper's weekly ad is by far the most attractive of the 3 major grocery chains. The colors are pleasant to look at and the sizes of the pictured products are comfortable and it is clear what price applies to which product. 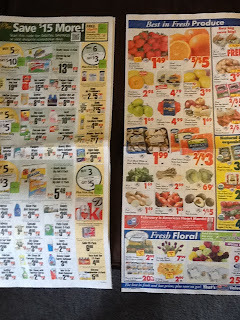 (In contrast Hannaford's ad is a bit boring due to the lack of weekly bargains and Shop Rite tries to cram too much into their ad making it appear too busy). 3. Bargains - I do like to be teased by a bargain and if it's good enough, it will draw me in. 4. Their gas savings program is a nice perk, but it is not a deciding factor when selecting a grocery store. 5. Price Chopper provides financial incentive for customers to use their own cloth reusable bags. 6. Price Chopper white tuna is outstanding. 1. While Price Chopper has tried to adjust their everyday prices a bit to make them more competitive, I still think they have a ways to go. 2. Some of the older stores (Central Ave near Shop Rite) could use a better cart selection. On my recent trip, it seemed the only choices were a huge clunky shopping cart or a tiny hand carried basket. It would be nice to have this location add some of those "sub compact" smaller carts. Other Comments: There is a wide range of sizes and locations and this diversity is most apparent with Price Chopper which has been in the Albany community much longer than the remainder of the pack. Some of the larger locations have much more to offer in regards to specialty areas such as bakery and deli. I also believe that the personalities of the different localities will also vary somewhat so you may want to try more than one to find the location that is the best fit for you. 1. Consistent competitive pricing eliminates the shock of getting stuck with over priced items that you pick up after being lured into one of those bargain promising stores. 2. Relatively simple and unencumbered navigation through the store. 1. Directing the herd check out - I realize this is meant to speed up check out, but I like to pick my own lane. (I will note this is not a "big" dislike and it certainly wouldn't steer my choice to shop or not shop at the store based on this issue). 2. Everyday low prices are great, but I like special sales, too. 3. It would be nice if Hannaford would provide a token incentive for customers who bring their own bags. Other Comments: Hannaford has a location closest to my home and this coupled with their everyday low price theme makes them my likeliest choice for basic, routine staples. 1. Store brand Greek yogurt is terrific and routinely priced at around $.88 making it the best consistent buy in the area for Greek style yogurt. 2. Compelling hot and cold buffet. Not only can you do your grocery shopping, but you may also be lured into buying lunch. 3. 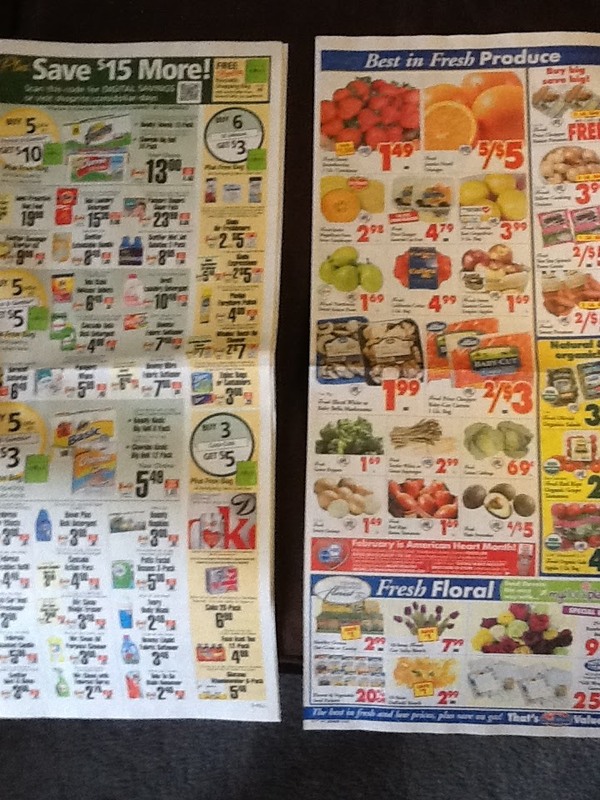 Bargains - like Price Chopper, Shop Rite also pushes out weekly teasers and who doesn't like a bargain? 4. Provides financial incentive for customers to use their own cloth reusable bags. 1. Shop Rite started off with a bang with their much hyped grand openings in the area. I am wondering if some of this luster may be wearing off. The last couple of times where I have been lured into the store for promised "bargains," I have found the store to have greatly limited offerings of the bargain item. Example, Pepperidge Farms cookies recently on sale for around $1.88 - I think there were 3 bags of a single choice of cookie left when I shopped on a Thursday. Prior to this experience, I also experienced a similar issue with soup selection during their "can - can" sale. 2. Difficult to navigate through the store, this is exacerbated during busy times, but I find that it is also a bit of an issue during normal level shopping times as well. Other Comments: Shop Rite sells gas at its quick stop location on Central Avenue. At the current time, this is limited to this single location so it probably is not a huge perk for most shoppers. Initially, I found this location to have the lowest price for gas in its vicinity, but this too may be fading luster as lately I have found that about half the time the same or lower price can be found nearby at either Hess or Cumberland Farms. Walmart: If you are in the mood to shop beyond groceries, Walmart may be a great option. I enjoy browsing for bargains throughout the store whether it be for clothing or electronics. I have found Walmart to be very competitive for name brand groceries, but I seldom purchase fresh produce, dairy or meats from Walmart with one notable exception being their creamy store brand yogurt which is on par with similar offerings from Yoplait. Target: I have used Target grocery mostly for the convenience factor; it has not become a grocery shopping destination for me. I do like that the navigation is simple and unencumbered - you can easily get through the aisles and the layout makes good intuitive sense. In general, I find their grocery prices slightly higher than can be had elsewhere. Target provides a financial incentive for customers to use their own cloth reusable bags and offers an additional 5% off if you use your Target Red card. Stewarts: Generally very quick in and out. Great for milk, bread and ice cream, but the steep mark up on other offerings exceeds the convenience factor for me. Trader Joe's: This is definitely a niche option - folks generally love Joe's or they don't. I've tried it a few times, but am yet to become a "love it" member. This may be a great choice when you are in the mood to find something a little different. For example, I do love their Chicken Tikka Masala. ...Happy shopping and don't forget your cloth bag!